Credit: Shutterstock / Lisa S.
Anyone following the OpenStack ecosystem could be forgiven for being a bit dazed and confused — how many distributions are there? (Fifteen, I think.) How many public clouds? How many private? Even higher-ups at the OpenStack Foundation are hard pressed to answer these questions off the top of their heads. Now a new OpenStack Marketplace, which debuts Monday at the OpenStack Summit, will take information that was dispersed across company websites, wikis and elsewhere, and organize it in a way to help customers find what they need. 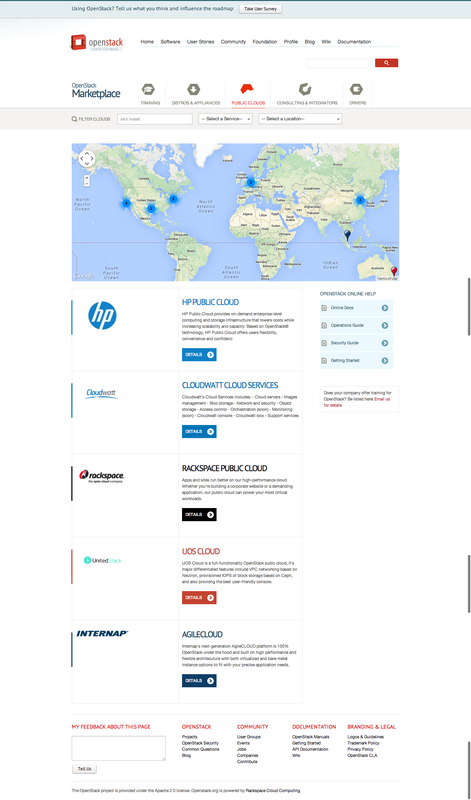 Also a part of the marketplace is DriverLog, a directory of OpenStack-compatible hardware and software from various vendors, compiled by Mirantis, which started out as an OpenStack systems integrator and has evolved into a provider of a full OpenStack distribution as well as associated services. All of this is part of the community’s attempt to make OpenStack understandable (and appealing) to masses of users, as well as to developers, many of whom are already sold. Also at this week’s summit in Atlanta, expect a lot of talk around Network Function Virtualization (NFV) from Red Hat(s rhat), eNovance, AT&T(s t) and Ericsson. In theory, NFV technology will enable telcos and big service providers — key target markets — to build easily updated telecom systems atop inexpensive, non-proprietary hardware. In other ecosystem news, Cloudyn, which made its name monitoring usage of Amazon Web Services and then Google cloud workloads, is now beta-testing a version of its service for OpenStack cloud infrastructure as well. The availability of its service across AWS(s AMZN), Google(s GOOG) and now OpenStack will give customers a way to compare their workload costs and performance across all three sets of infrastructure.